Nowadays carpets are available in a huge range of materials. From Wool to Polypropylene and even mixes of both. There’s so much choice out there, it makes it hard to decide which is best for you. When it comes to carpets, the boundaries are limitless. With over 20+ years of experience we can help you to find exactly the carpet you’re looking for. Why not take a trip to our showroom and experience the difference. Our friendly staff will assist you in understanding the difference between natural carpets and man-made fibre carpets. How the different carpets will wear over time. We’ll help you to decide which is better for you, a flecked carpet or a plain carpet. B y visiting our Plymouth showroom you will have a wide range of carpets from leading manufacturers available at your finger tips. With carpets in our showroom from designer companies such as Jacaranda, Lano, Alternative Flooring and Crucial Trading you won’t find these carpets at these prices anywhere else! 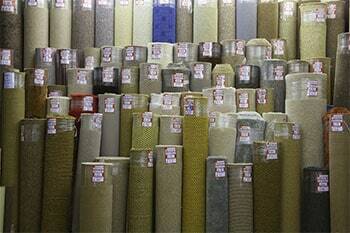 We have a variety of carpets that we stock on the roll. This is the carpet that we have lots of sales on so it’s always worth having a look to see what sale we’re running. If you want to be able to take your carpet on the same day, we can cut it off the roll whilst you wait. Not only do we stock carpets on the roll. We also have over 1000 carpet remnants available for you to browse through! These carpet remnants are available in sizes small enough to make doormats from all the way up to sizes suitable for a large living room. Carpet remnants are the perfect answer to revamping your room on a budget. 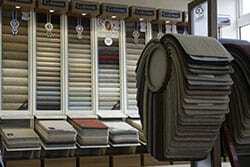 Should you require us to, we can also offer a carpet fitting service. This service is done by some of the most experienced carpet fitters in the South West. So, not only do you get the highest quality carpet from us, you also get it fitted to the highest quality. 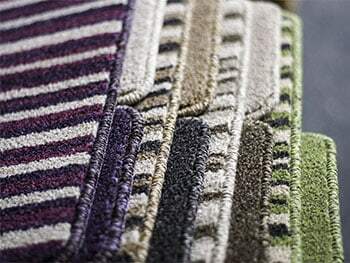 With any carpet you have left over that you’ve purchased from us, why not bring it into us, and we’ll bind the edges free of charge to make some matching doormats and rugs for you. For more information about Plymouth Carpets Flooring, contact Simply Carpets Plymouth. Your one stop shop for floors and carpets Devon.